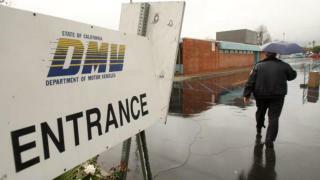 The California State Assembly is considering a bill that would extend the time period in which new drivers are required to keep provisional driver’s licenses, drawing the ire of many young motorists in the state. The new legislation, titled AB63 and introduced by Bay Area Assemblyman Jim Frazier (D-Oakley), mandates that all new drivers under the age of 21 be given provisional licenses for a year. Under current state laws, only drivers under the age of 18 are given provisional licenses, which bar them from driving passengers under 20 years old (unless accompanied by a parent or person 25 or older) and between the hours of 11 p.m. and 5 a.m. The restrictions typically expire after a year or until the driver's 18th birthday, and there are exceptions for work-related travel or driving family members. AB63 has the support of the California Association of Highway Patrolmen and teen-safety advocacy groups. “We are proud to be sponsors of this bill and look forward to working together toward a common goal—saving young drivers’ lives and making roadways safer for all of us,” said Doug Villars, President of the association, in a news release announcing the bill. More than 2,200 teens between the ages of 16 and 19 died as a result of traffic-related injuries in 2014, and car crashes continue to be the no. 1 killer of teens compared to any other cause of death, according to the Center for Disease Control. For Frazier, these statistics hit close to home: His daughter died in a car accident in 2000, a tragic event is credited with triggering his involvement in public service. "Other states that have expanded this program experienced a reduction in crashes and fatalities with new drivers 20 years old and younger," Frazier said in a statement to NBC Bay Area. "As a father who lost a child an automobile accident, I can say with certainty that this minor inconvenience is well worth it to keep roads safe and save lives." Still, the bill has already wracked up a few detractors, many of whom are younger in age. It's not uncommon for teens to wait until they are 18 to get their license, purely to skip a provisional license requirement that often results in costly fines for violators. The introduced legislation would throw a wrench in those plans. “This bill would effectively ban or prohibit anyone under the age of 21 from doing a lot of common day activities, such as going on a date, carpooling to grocery store or to work, and carpooling to Coachella,” said Matt Shupe, a Republican strategist and communications chair for the Contra Costa County Republican Party. Shupe noted that his sister, who is in college and does not have a car, often relies on her peers for rides and would be burdened by the proposed law. The frustration appears to be bipartisan, with some young Democrats also taking the bill to task. Stephan Mack, a 25-year-old who lives in Pleasant Hill, said the bill unfairly penalizes young drivers who are hardworking and could also disproportionately affect teens living on a low-income, who may need to carpool more frequently. Mack said a better solution would be to offer optional low-cost or free driver’s training to those who are newly licensed. AB63 may go to committee on Jan. 12. Check back for updates.